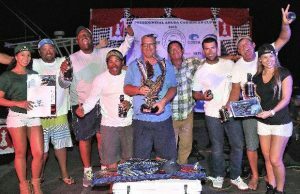 Undoubtedly one of the best sportfishing teams in the Caribbean, the Paul Mann 57′ NAIRA led from start to finish during the 2016 Aruba Caribbean Cup, scoring 4400 points including a grand slam to walk away with the big win. 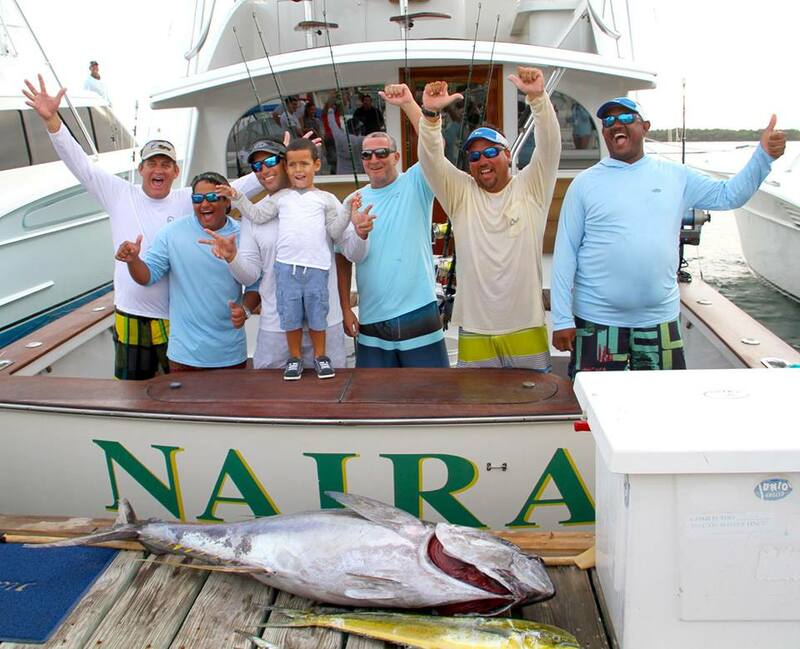 The NAIRA team included Captain/Owner Bincho Mansur, Bancho Mansur, Yilson Iriarte, Ricky Croes and, last but not least, Carlos Isaza–2016 Eagle Claw Grand Champion Angler at thetournament! In third place was the Paul Mann 58′ ALINA, owned and captained by Eric Mansur, with 2000 points. ALINA’s team anglers include Captain/Owner Eric Mansur, Eric Mansur, Jr., Christian Mansur, Rafael Fucho Roja, Jose Pelicano Guanipa and Steve Drummond. The highly competitive tournament is the first leg of the Caribbean Presidential Cup for 2016. The bite was big in Aruba this year with 13 blue marlin, 14 sailfish and 43 white marlin. There were a total of 70 releases and 4 grand slams during the Presidential Aruba Caribbean Cup! A huge shout out and congratulations to both fishing teams and these great Paul Mann boats!